Since I learned how to create pictures and display them on these wonderful OLED displays I wanted to build something useful with it. Once you know about all the pieces, putting them together is quite easy. The icon, temperature and humidity are updated every 10 minutes from http://openweathermap.org/, then parsed into a JSON object. SSD1306 128×64 with the web based weather station. The data is fetched from openweatherchannel.com. It also displays the last update time. Just wanted to say "thank you" for sharing such good information on your blog and at the ESP8266 community. Thanks for this nice little project and yes I agree with Mike great blog. 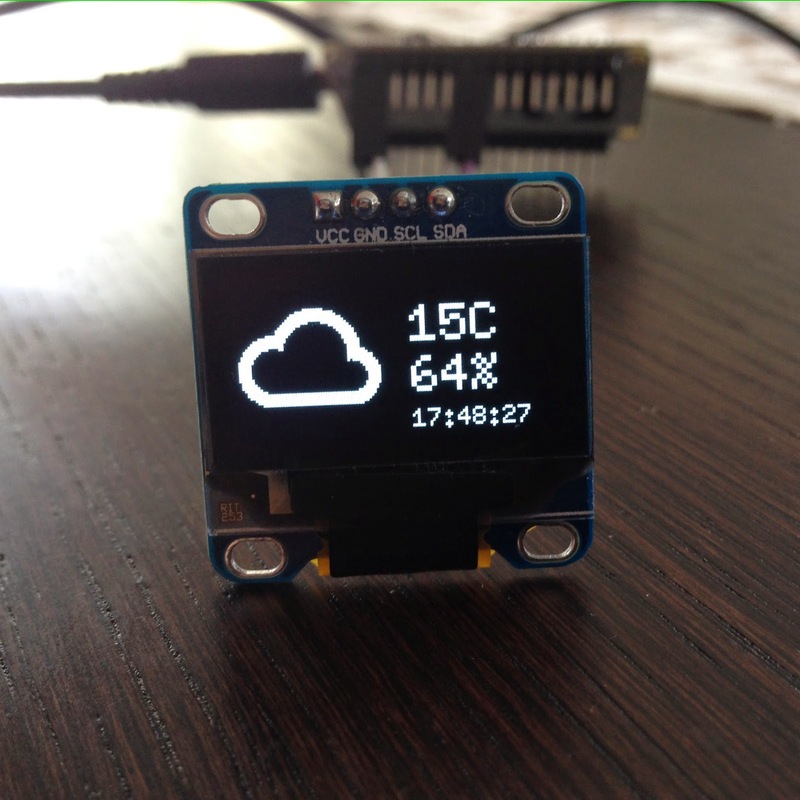 Is it possible to program the OLED to display Fahrenheit rather than Celsius? This looks like a really neat project! Thanks for helping me! Also, when I tried to download ESPlorer, an error popped up saying that the file is invalid, and I cannot open it. Do you know how to work around this? bin absoluter Anfänger, wollte das ganze aber mal probieren. Ich hänge jetzt allerdings bei "Save to ESP". Der Button ist bei mir ausgegraut. ESP ist per USB angeschlossen. Fehlt da ein Treiber? I think the problem may be the order you are loading files into the ESP.. I did that and it seems to kind of be working, but the OLED has a bunch of tiny white dots all over it. Is there a problem with my OLED or something? That's a very good idea you had. I thought that for me, a weather forecast would be more useful, so I implemented it. It has an AP mode for configuration and scrolls the forecasts on the OLED 3 at a time. I had to use a custom build of NodeMCU to free enough heap. I tried to upload this code but I cannot make this to work. 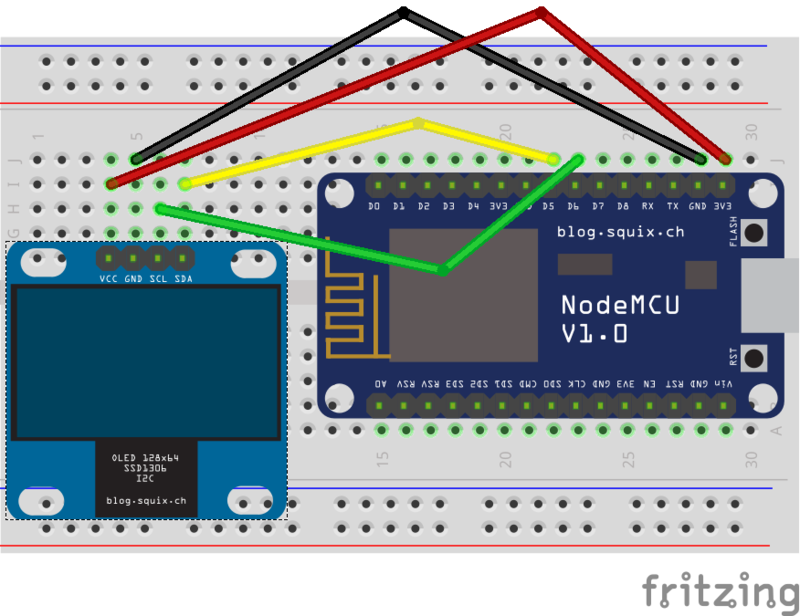 Dear Dani: I have implemented your code on the nodemcu esp8266 dev. board. However I can't get back to your link https://github.com/squix78/esp8266-projects/tree/master/weather-station as it seems to have been moved or removed. One of my icons is corrupted and I need to download them again. I know you have moved to the Arduino IDE, but I don't know how to translate those icons back to .MONO. Thank you for your great work! I havn’t seen anything even close to what you have done on oled display. Just one question: is it possible to hide or remove the Indecator?